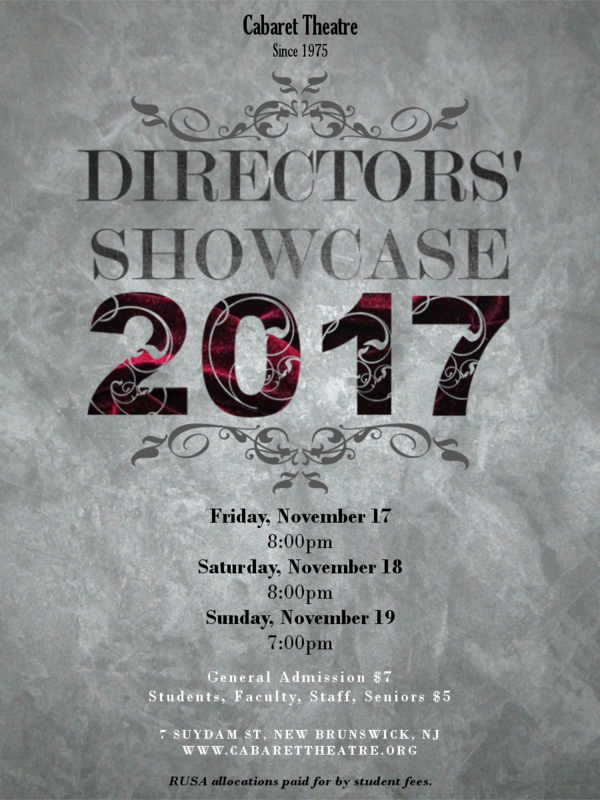 The 2017 Directors' Showcase is a special event at Cabaret Theatre that gives first-time directors the opportunity to cast actors in a few short plays lasting about 15 to 20 minutes each. Working tirelessly for the past month, these directors have held numerous rehearsals to bring to life four plays within the Cabaret space. We can't wait for you to see the efforts of these new directors and their talented actors!